للمسافرين الذين يرغبون أن يعيشوا كل ما تقدمه المدينة، شقق ألتيميت بوندي بيتش هو الخيار الأمثل. يقع مركز المدينة المثير على بعد 8 km فقط. سوف يعشق النزلاء موقع هذا الفندق، فهو قريب من أهم المعالم السياحية في المدينة . كما يقدم شقق ألتيميت بوندي بيتش الكثير من الخدمات لإغناء رحلتك في المدينة. يقدم هذا الفندق العديد من الخدمات الكفيلة بإرضاء أكثر الضيوف تطلباً. يمكن للنزلاء الاختيار من ضمن مجموعة من الغرف المصممة بعناية لتعكس جواً من الراحة، والتي يتجاوز عددها 44. كما أن مجموعة الخدمات الواسعة الموجودة في الفندق لضمان راحتك تترك لك الكثير من الخيارات لقضاء وقتك أثناء فترة إقامتك. إن شقق ألتيميت بوندي بيتش هو مكان مثالي للمسافرين الذين يتطلعون إلى الراحة والاستجمام في المدينة. يرجى العلم أن مكتب الاستقبال مفتوح من الاثنين إلى الجمعة من 8:30 صباحًا إلى 6 مساءً، ويوم السبت من 8:30 صباحًا إلى 4 مساءً ويوم الأحد من 8:30 صباحًا إلى 2 مساءً. يجب على النزلاء إبلاغ الفندق بموعد وصولهم المتوقع. يرجى الإشارة إلى ذلك في قسم "الطلبات الخاصة" أثناء الحجز أو عن طريق الاتصال بالعقار مباشرة باستخدام تفاصيل الاتصال الموجودة في تأكيد الحجز. Nice and clean rooms with all the stuff you would need to cook a simple meal. Beds were great. Very quiet, not much going on, not great for meeting other travellers if that is what you want. Bus stop in front of the door that brings you to the trains. Shops nearby. All in all a good base. Exceptional staff, very friendly and accommodating, and great conversation. 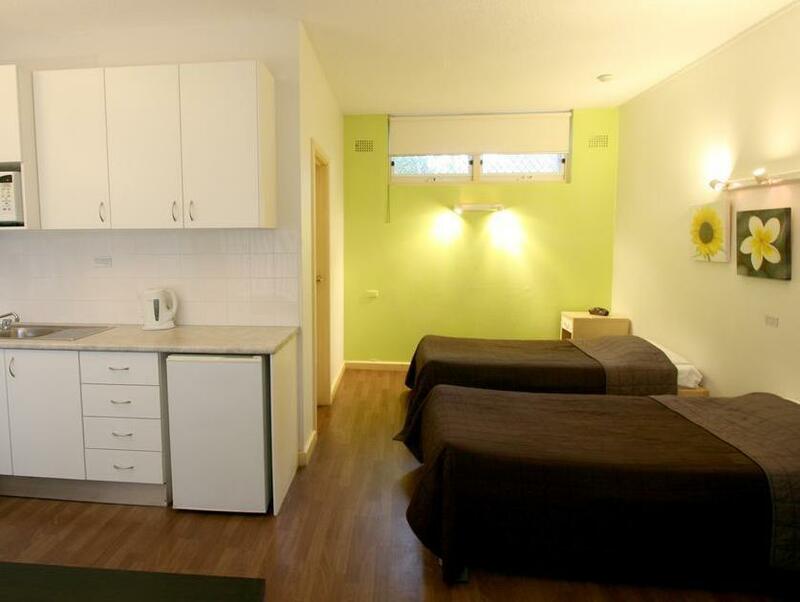 Rooms are spacious and comfortable, with sofa and tables and chairs, and kitchen area. All spotless and well maintained. Perfect beds. Pool and parking freely available. Location very easy to get to from the airport (bus stop is directly across the road), and the apartments are a very short walk to Bondi Beach. Shower could use a little attention, but plenty of hot well pressured water means this is a just a very minor note. No doubt we will stay here again if we return to Bondi in the future. This place is amazing👌🏾 We stayed here with our 3 year old baby and it was perfect. Good value for money and great customer service. Allowed us to check in early and stay another night for a reduced rate. Would stay here over and over again. Secure place to stay & easy after hour check-in so did not see staff. Only thing I missed was no complimentary shampoo due to travelling light and forgot it was an apartment not a motel. Comfortable room and clean. Would stay again. The receptionist looked like she hated her job. That's fine, we were there for the comfort of our room. But no, the room was a run-down. I was afraid to take off my slipper in the shower. There was no amenities rather than a hand soap. Not even a bottle of water in the fridge. The wording in the contract was confusing, so we ended up cleaning up the room for them before we left. The only good thing about this place is the location. Prettyclose to Bondi and everything else in town. Great location, clean with everything you need for and extended stay. I used public transportation which was very convenient with a bus stop right out front. The beach was a short walk and plenty of places to eat along the way. I would definitely stay again. Friendly, helpful staff make a good first impression. The apartments are showing their age but have everything you need for a pleasant few days or weeks. Plenty of parking (a luxury in this locality) and five minutes from the beach and restaurants. Tea and coffee are not provided but the kitchenette has everything else you need. Real estate in this area is extremely valuable and it is probably only a matter of time before the site is redeveloped. Take advantage of it while you can! Great location. Very quiet. The room was spotless. Everything was clean and tidy. Soft towels. Comfortable bed and sofa. Professional, helpful and friendly staff. We really enjoyed our stay in this little resort. Great value too! Just had a great few days at Ultimate Apartments. Clean, well equipped and great value for money. 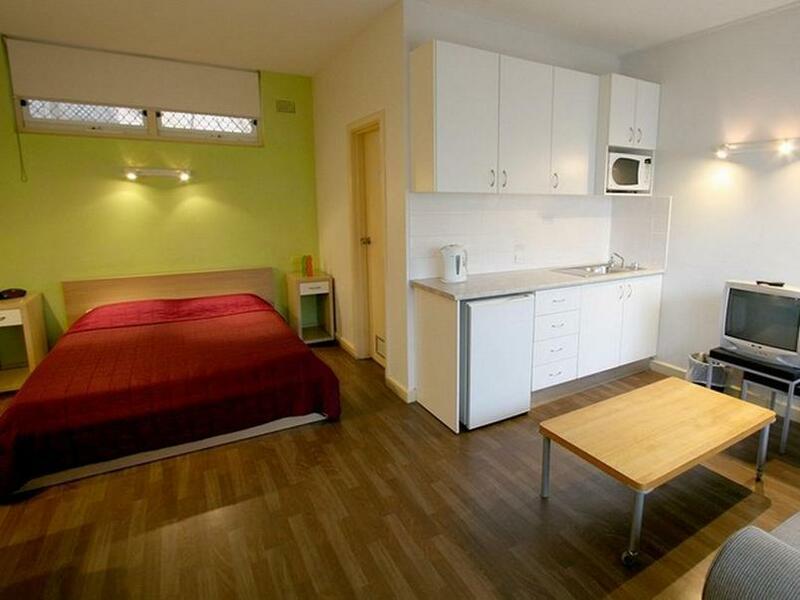 3 mins walk to the Hall St cafes, 5 mins to the beach, bus to city across the road. Basic but everything you need. Far better than the Bondi Hotel. Would definitely recommend! 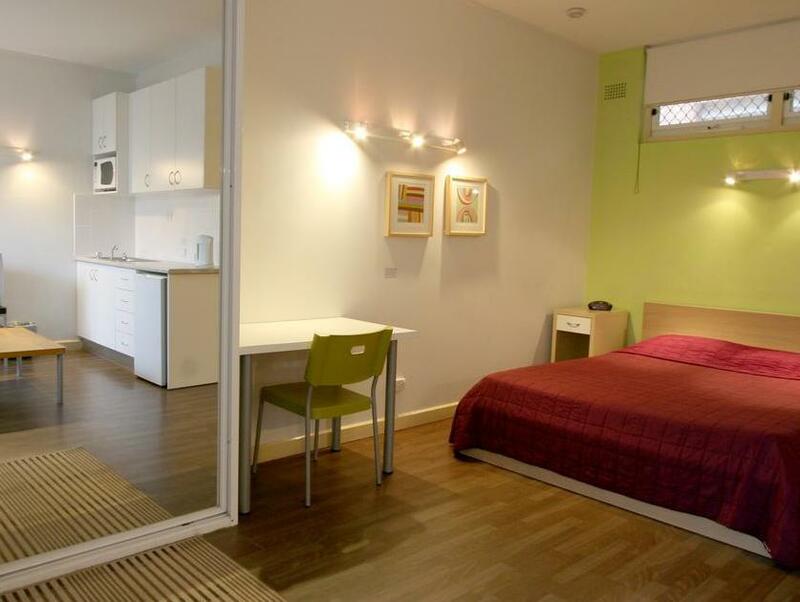 Bondi apartments is very well located near to the happening beach. Room is spacious and is pretty well equipped. However, swimming pool was rather small and water seem to be dirty and not well maintained. This place is all about rules, there are rules for everything and if you break em you have to pay. A full page contract must be signed before staying. Not entirely a welcoming place on that account. But it served its purpose i guess. I was travelling with my sister to be with the Jewish community in that area. The apartment was perfect for the both of us. It has a kitchen, so we don't have to eat out all the time. Sydney is expensive! We would buy groceries and cook ourselves. The apartment has a bathroom with shower and toilet that works and hot water. You are given a key to the apartment and a key to the main gate. You can come in and out any time of the day or night. The only thing I regretted was that it does not have a heater. Coming from a tropical climate such as Indonesia, to Sydney in the winter, it was quite unbearable especially at night. Cleaning service only comes in at the once a week, on the anniversary day of your arrival. The value for money is excellent. The apartment itself is not fancy, but enough to stay in for a week. Location is super great. Just a short walk to Bondi Beach, cafes and bars on Hall St. Good hotel security.The room was at a 3 star cleanliness. It was stocked with everything you needed and was a comfortable little apartment stay. The pool is a nice bonus, I didn't mind that it was in the middle of the car-park like others have complained about, maybe some more sun-beds would of been great. The air-conditioner was old, rusty and dripping with excess amounts of water, thats my only fault. Location excellent and it was a surprise to see what was behind the private gates. Good value for Bondi. Good and nice motel to stay ! Extremely good..